Scott Yager, who works on environmental issues for the National Cattlemen’s Beef Association, is currently spearheading the association’s efforts to influence the repeal and replace action on the Waters of the United States by the Environmental Protection Agency. And with the public comment period only open for another two weeks, he told Radio Oklahoma Ag Network Farm Director Ron Hays recently, that it is imperative for the ag community, especially cattle producers, to weigh in on this debate and submit their WOTUS comments to the EPA as soon as possible. Before that happens, though, Yager explains the WOTUS rule must be ran through a legal process of repeal under the Administrator Procedure Act. This is where, he says, NCBA needs the help of the people. During this process, public comments are allowed to be submitted to those who will make the final decision on whether or not the repeal is approved. Yager emphasizes that the decision will be heavily based on the response of these comments, and urges the public to visit the NCBA website for instructions on how to submit a comment. 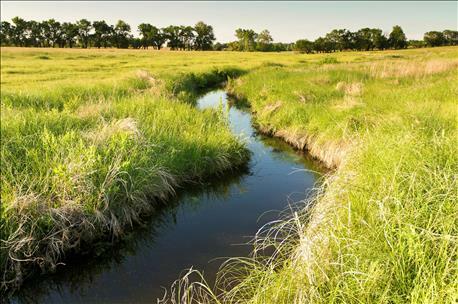 Listen to Hays and Yager discuss the process of repeal under which WOTUS is now subject to, and find out how you can participate in fixing the controversial regulation, on today’s Beef Buzz.